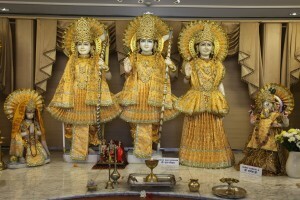 Shree Ram Mandir (Hindu temple) is a place where we find unfathomable solace. We welcome all, without any bias and/or prejudice. Hinduism does not have a “unified” system of belief encoded in declaration of faith or a but is rather an umbrella term comprising the plurality of religious phenomena originating and based on the Vedic traditions. ​Maha Shivratri (Padmarajarathri) is a Hindu festival celebrated every year in reverence of Lord Shiva. It is also known as Shivaratri which literally means the great night of Shiva or the night of Shiva. It is celebrated every year on the 13th night/14th day of the Maagha or Phalguna month of the Hindu calendarThe festival is principally celebrated by offerings of Bael or Bilva/Vilvam leaves to Lord Shiva, all-day fasting and an all-night-long vigil. In accordance with scriptural and discipleship traditions, penances are performed in order to gain boons in the practice of Yoga and meditation, in order to reach life’s summum bonum steadily and swiftly. ​Dussehra (Vijayadashmi) is celebrated on the tenth day of the month of Ashwin according to the Hindu lunisolar calendar which corresponds to September or October of the Gregorian calendar. The first nine days are celebrated as Maha Navratri or Sharada Navratri (the most important Navratri) and culminates on the tenth day as Dasara. In India, the harvest season begins at this time and so the Mother Goddess is invoked to start the new harvest season and reactivate the vigor and fertility of the soil. This is done through religious performances and rituals which are thought to invoke cosmic forces that rejuvenate the soil. Many people of the Hindu faith observe Dasara through social gatherings and food offerings to the gods at home and in temples throughout Nepal and India. Holi ​(Festival of Colours) is a religious spring festival celebrated by Hindus, as a festival of colors. It is primarily observed in India and Nepal. It is observed by the minority Hindus in Bangladesh and Pakistan as well in countries with large Indian diaspora populations following Hinduism, such as Suriname, Malaysia, Guyana, South Africa, Trinidad, United Kingdom, United States, Mauritius, and Fiji. 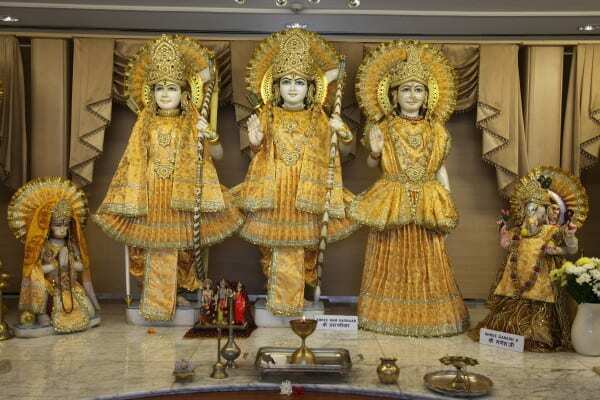 Krishna Janmashtami The festival is celebrated on the eighth day (Ashtami) day of the dark fortnight of the month of Shravana (August–September) in the Hindu calendar. 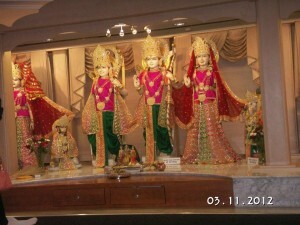 Rasa lila, dramatic enactments of the life of Krishna, are a special feature in regions of Mathura and Vrindavan, and regions following Vaishnavism in Manipur.